NIA CHARLESTOWN NEVIS (JUNE 18, 2015) — The Traffic Department at the Royal St. Christopher and Nevis Police Force, Nevis Division now has six additional staff members. 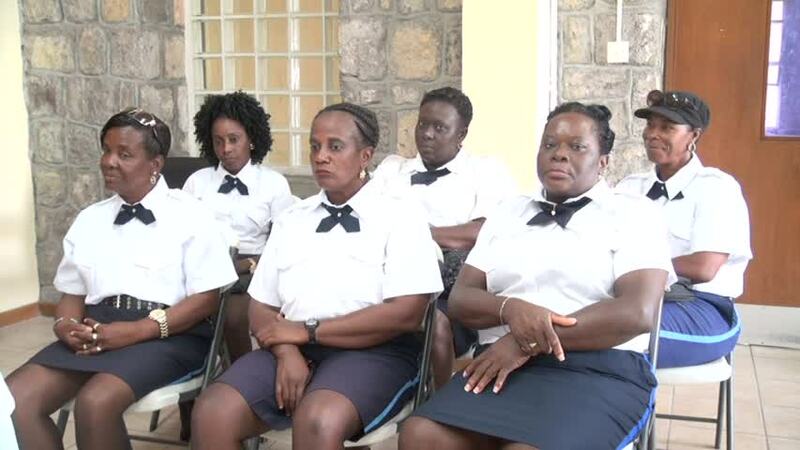 They were introduced as traffic wardens by Head of the Division Superintendent Hilroy Brandy at a ceremony at the Charlestown Police Station on June 15, 2015. The Wardens, all women, who are a first for the Nevis Division, were sworn in last week by virtue of Section 90 of the Vehicles and Road Traffic Ordinance Licencing Authority. Their training began in October 2014 with the Traffic Department and other senior Officers of the Division. Mr. Brandy used the opportunity to inform the public that the Wardens also had the power of arrest like any police officer and sought the public’s cooperation. 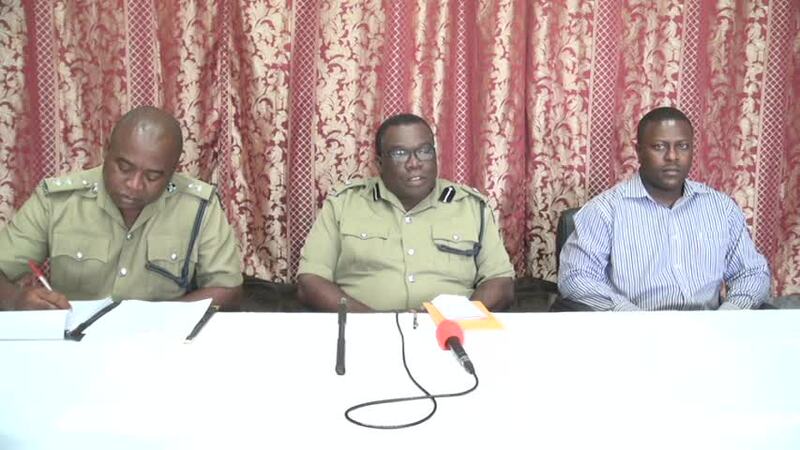 “I would like the general public to know, these traffic wardens have received powers of arrest like police officers so if you disobey or you break the law, they have the right under the law to arrest you and take you to the nearest police station, ask any member of the public for assistance so they could take you into custody. I am asking the general public to give them their support,” he said. According to Brandy, the Wardens would not only engage in ticketing traffic offenders but would also be involved in easing the traffic congestion in Charlestown and other parts of the island and ensuring that motorists complied with the traffic laws. “Help them to help you so you can move around Charlestown in a speedy manner,” he said. Meantime, Inspector Conrad Bertie who is in Charge of Beat and Patrol, gave a brief overview of the training the six women had received before their transition from school crossing guards to traffic wardens. He noted that they had been exposed to Court Room Procedures and Statement Writing. They were also taught about various aspects of the traffic laws in particular ticketing because in their duties it would be one of the key things they were expected to embark on. They were also taught about Customer Service in which they were reminded to be courteous to the public, remain professional and to conduct themselves in a professional manner at all times. He told the wardens that they should remember that it was a much-needed service they were offering to the public and should be respectful at all times so they would get the public’s cooperation. He thanked the wardens for their part in assisting the Division. “I want to thank the persons who have stepped up to the plate…to assist the Traffic Department. Surely we are short staffed and we welcome your assistance in bringing some semblance of order to the traffic in and around Charlestown,” he said. Bertie stated that the wardens would be active in the Nevis Division and will be stationed at different police stations on the island. They would also be engaged in traffic stops and assist police officers at vehicular check points. The wardens are Kathleen Liburd and Sherilyn Smithen attached to the Gingerland Police Station, Marva Bailey Station and Jasmine Barry attached to the Charlestown Police Station, Sherise Williams attached to the Cotton Ground Police Station and Sonia Wilson attached to the Newcastle Police Station.